Not interested in Portage ? Please choose a different community. The Columbia County Fair is a typical county fair which allows both youth and adults to display their projects. The projects range from animal exhibits to projects on clothing, crafts, photography, art, food, flowers, etc. 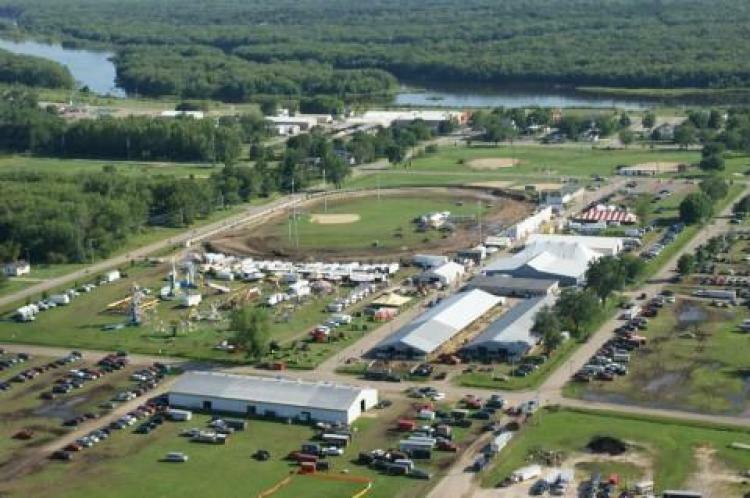 Grandstand events are held daily with Wednesday tractor/truck pull, Thursday flat track motorcycle racing, Friday rodeo, Saturday demolition derby and Sunday afternoon motocross. Badgerland Midways features daily ride specials such as $1 and $2 Holler ticket times, Buddy Day, Humane Society Drive and Food Pantry Drive and wristbands. Commercial exhibitors and vendors of a variety of products will be located around the grounds. Food vendors will be available with the carnival food as well as special dinners provided by local groups. Beer garden will be open daily with DJ on Wed., Thurs., and Friday nights with CountryWide Rocks on Saturday night.